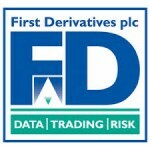 According to a regulatory filing with the London Stock Exchange, First Derivatives Plc (LON:FDP) has acquired Prelytix Inc. The firm is a US-based company delivering predictive analytics based on a number of information sources that mine data from real-time advertising, website traffic and social media. The initial consideration totals $7.5 million (£4.9 million) with a maximum total consideration capped at $20 million (£13 million). The acquisition, which will be earnings enhancing in the company’s financial year to 29 February 2016, expands FD’s presence in the fast-growing marketing- technology sector. According to the announcement, the acquisition of Prelytix is part of a strategic move by First Derivatives beyond its core capital markets business into additional vertical sectors. The synergy will leverage the technology which the company already uses, namely the Delta platform and kdb+. Prelytix has already partnered with the marketing division of First Derivatives, Market Resource Partners. The partnership produced predictive analytics as part of the Delta Marketing Cloud, the launch of which was announced in January 2015. In 2014, Prelytix reported revenues of $2 million and $0.1 million of operational EBITDA. 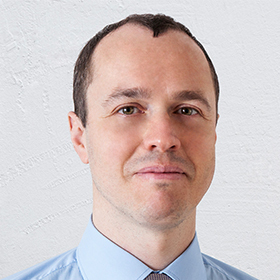 The net assets of Prelytix on acquisition will be $0.1 million. “While Prelytix has achieved rapid growth to date, the size of the data sets we analyse and the complexity of the analytics that has to be performed against it to unlock the full value of the data, has been a limiting factor in our ability to scale our business,” they added. “With FD and the Delta platform, we look forward to being able to focus on increasing our customer base and providing even more sophisticated analytics to help clients maximise their revenue opportunities,” the co-founders concluded.